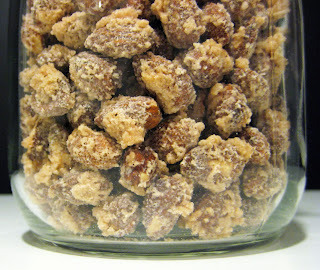 Roasted almonds, candied almonds, sugar-roasted almonds, glazed almonds. So many names for only one addiction. While I was at the hidden beach this summer doing nothing, but actually doing the most important thing one can do, daydreaming, Mrs. Nadja was making these contagiously dangerous treats. 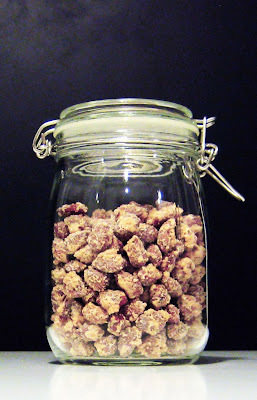 The goddess of traditional Dalmatian sweets was mixing sugar, water and almonds in her kitchen. Magic was happening only few meters from where my towel laid out. It is believed that Romans used to bring roasted almonds as a present to friends. And this is how Mrs. Nadja and I met. She welcomed me with a smile and a bowlful of sweet, aromatic, crunchy creatures. While she was telling me, step by step, what to do to get the final product, almonds were cluttering in the bowl and I was chasing them voraciously. Put sugar, almonds and water in a saucepan and heat up and that's the whole magic my dear, she would say. I was thinking, ok, but this is what my friend Ada has been doing almost every day since we came and they never end up like hers. This recipe is in a way a heritage for Ada, but she is a woman of today doing most things her own way, not following some written ‘guidelines’. She would usually mix everything by heart, adding a bit of cinnamon, and each time they would have a different texture or taste a bit differently. But I don’t like when they are too sweet and when they are not crunchy, Mrs. Nadja added. The rest is history and is written below. In a heavy pan mix almonds, sugar and water together. Cook the mixture over high heat, stirring constantly with a wooden spoon, until sugar dissolves. Continue cooking and stirring until sugar starts to crystallize (5-6 minutes). This is the moment when you should turn almonds onto a baking sheet to cool. It only takes about 10 minutes to prepare. 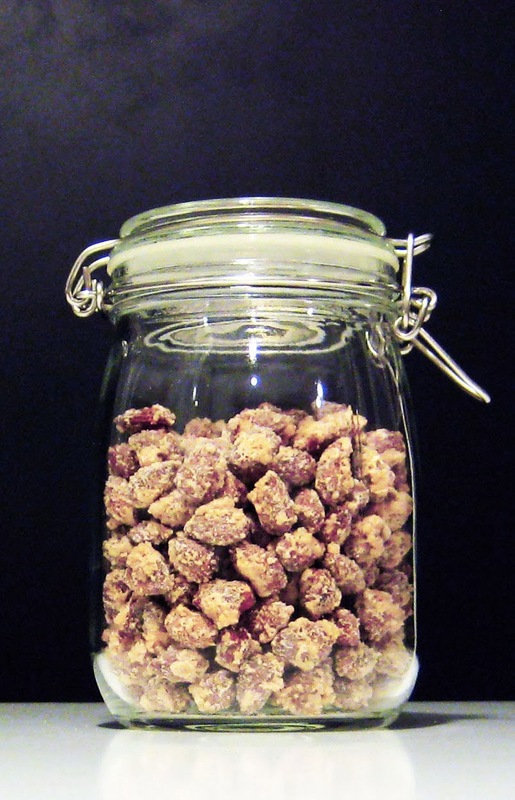 There is a pretty huge amount of almonds in a jar which will make you end up having seriously good treat in days to come. But in this case you will have to hide them and simply forget about them, otherwise you can easily nibble your way through a big jar without even noticing. So be careful, they are seriously addictive!